Protein is an essential component of any balanced diet. Protein helps muscles recover after workouts. It works to prevent osteoporosis and similar conditions. It provides overall feelings of fullness, which in turn lead to better concentration, positive thinking, and energy. Eggs are one of the most popular sources of protein, and they have about six or seven grams of this component. But just eating eggs can get boring, so what are your other options? Yogurt is delicious, but Greek yogurt has 24 grams of protein in one single cup. That is roughly as much as you’ll find in four eggs! Master of Science and registered dietician Julie Upton states that Greek yogurt works so much better than typical, normal yogurt because it has better protein content, much less sugar, and even a better taste. Do note that plain Greek yogurt is always best. Opting for flavored kinds or adding less healthy toppings can detract from its overall value. Maybe when people say “packed like sardines,” they’re also referring to their immense nutritional value … Jokes aside, get the canned variety for the most positive results! Grab a pack at the frozen aisle of your grocery store and enjoy! Boil, steam, or microwave your edamame for best results, seasoning with salt (and other simple condiments) to taste. Cottage cheese is nice for adding some filling value and good taste to vegetables or fruits, especially as a snack or a light-and-easy meal. Just one half of a cup of this creamy item will give you a good 8 grams more protein than an egg. As a bonus, you can go for cottage cheese that is made to have probiotics through the use of active cultures. This will have positive effects on your digestive system. Tofu is very inexpensive and the average serving will only net you 90 calories – a great food for the weight-conscious. Turn them into a dish, roast them for a yummy guilt-free snack, or use them as a salad topping! And, of course, you can also make hummus with them. If you’re looking for more high-protein seafood options that are also refreshingly low in calories, shrimp may be your best bet, says nutritionist and registered dietician Martha McKittrick. Three ounces has a surprising 20 g of protein! Of course, lots of shrimp preparation options aren’t really the best when it comes to overall healthiness and calories. Cook shrimps very simply and eat them accompanied by some light cocktail sauce for a yummy but relatively safe dish. There are lots of ways you can use hemp seeds. Sprinkle them over a salad if you like, or drop them into a smoothie mix and blend! Quinoa may be a fad food, but there’s no denying how good this ancient grain can be. Hailing from South America, this special grain is such a wonderful source of protein that has all the essential amino acids that exist! It also has lots of fiber which helps keep you full. Plus, quinoa’s unsaturated fat content makes it a great source of fat that’s actually good for you! Mix it into a salad or try making a quinoa bowl. Pumpkin seeds are one of the easiest types of foods to add to meals or eat on their own, says Candida diet creator and nutritionist Lisa Richards. Sure, they’re a little odd, but they’re becoming more popular. Some people even make plant-based butter out of these seeds, so don’t be surprised if they get more accessible as time goes on. If you eat an ounce of these small nuts, you’ll be enjoying 6 grams of protein – which is about the same as an egg, and you can always eat more of them. They’re a great snack, and they’re packed with fiber, so they’ll fill you up in a healthy way. Almonds also boast an impressive number of vitamins – 12 in all – as well as loads of minerals. If you tend to snack a lot, enjoy almonds for a more guilt-free bite. You already probably knew this was on the list! Chicken is very flexible when it comes to cooking styles, so you can prepare it virtually any way you want. A serving around the size of your palm – or 4 ounces in weight – will provide you with 25 g of protein. While mildly seasoned chicken breast is the most healthy option, and the most frequently enjoyed by those who are building muscle, you can make chicken virtually any way you like. Just take note of caloric values so you don’t go overboard! Most people love cheese. We slather it over fries and nachos. We devour it on pizza and pasta. And that’s why most of the time, meeting protein requirements is easy – as long as we have our cheese! Cheddar and mozzarella cheeses are both packed with protein. They’re also a great source of heart-healthy fats (when eaten in moderation), vitamin D, and, of course, calcium. Not all sprouted grain bread is created equal, but two slices of any one loaf should give you around 10 g of protein. So if you’re using this for your breakfast, it’s an easy way to get protein in your diet without thinking too much about it. If you can’t say goodbye to your carbs but still need more protein, you get the best of both worlds with sprouted grain bread. Peanut butter is the perfect accompaniment for your sprouted grain bread if you want even more protein! Just two tablespoons of many types of this spread give you more protein than you could ever hope to get from an egg. You can also mix some into a smoothie, or toss noodles with them. 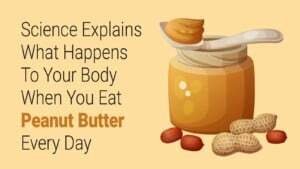 Do note that there are many different brands of peanut butter, so choose the right kinds. Read labels and choose the ones with more protein, fewer preservatives, and better health values. Tuna is yet another seafood on the list, and probably best known for omega-3 fatty acids as opposed to protein. But you shouldn’t discount it from muscle-building yet – just 3 ounces of raw tuna has around 20 grams. Still not enough protein? Get a can of tuna (5 oz) and cooked they’ll give you 32 g of it, at a relatively small amount of calories (just 140). They’re an amazing fish! Black beans don’t need to be cooked to be enjoyed – just open a can, drain the beans, rinse them up, and add them to any meal you like. Just half a cup will provide protein of about 7 grams, which is as much as a larger egg and more than a smaller one. They also have a good amount of iron in them. Most people don’t think of jerky when they think of healthy foods. But these dehydrated meats are packed with proteins; they may have more than most other options in an ounce, with up to 15 grams! Registered dietary nutritionist Anne Danahy states that this makes them really good for snacking. However, you need to make sure to avoid the worst of the lot. Go for jerky that has less than 5 gram of sugar and, preferably, a lower sodium content than 400 mg. You should also try to go for grass-fed varieties, and organic too, if you can. 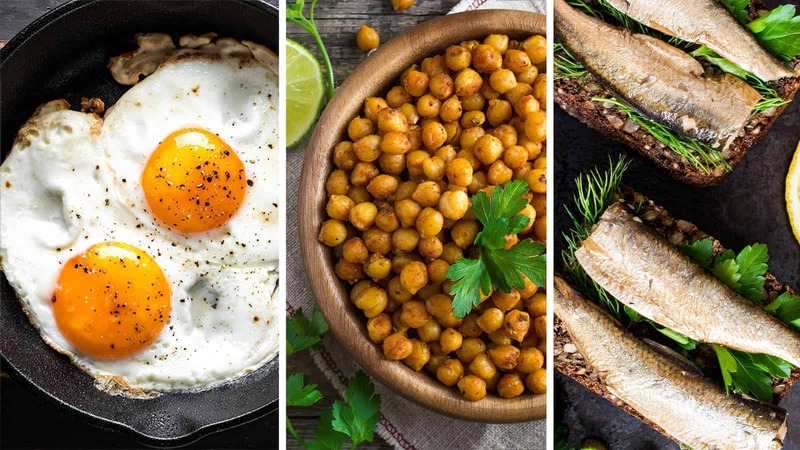 There are plenty of ways to get your protein fix, and they don’t have to all be from eggs. These 20 options all provide versatility, taste, and nutrition in multiple ways, so don’t be afraid to try new things and see what works for you!